Handle the manager queryset for Tokens. Filter results down to visible tokens only. Filter results to all Token objects containing the keywords. Returns: kudos.models.TokenQuerySet: The QuerySet of tokens filtered by keyword. Model representing a Kudos ERC721 token on the blockchain. The model attempts to match the actual blockchain data as much as possible, without being duplicative. Attributes: artist (str): The artist that created the kudos image. background_color (str): 6 digit hex code background color. See Open Sea docs for details. cloned_from_id (int): Orignal Kudos that this one was cloned from. contract (FK): Foreing key to the Contract model. description (str): Description of the kudos. external_url (str): External URL pointer to image asset. See Open Sea docs for details. image (str): Image file name. name (str): Kudos name. num_clones_allowed (int): How many clones are allowed to be made. num_clones_available (int): How many clones the Kudos has left. num_clones_in_wild (int): How many clones there are in the wild. owner_address (str): ETH address of the owner. Pulled from the ownerOf contract function. platform (str): Where the Kudos originated from. price_finney (int): Price to clone the Kudos in finney. rarity (str): Rarity metric, defined in kudos.utils.py tags (str): Comma delimited tags. 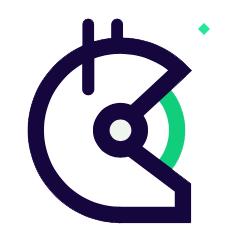 TODO: change to array token_id (int): the token_id on the blockchain. txid (str): The ethereum transaction id that generated this kudos. Convert the provided buffer to another format. Args: obj (File): The File/ContentFile object. Exceptions: Exception: Cowardly catch blanket exceptions here, log it, and return None. Returns: BytesIO: The BytesIO stream containing the converted File data. None: If there is an exception, the method returns None. Returns: str: The humanized name. Calculate the number of clones available for a kudos. Returns: int: Number of clones available. Convert price from finney to eth. Returns: float or int: price in eth. Shorten ethereum address to only the first and last 4 digits. Model that represents a request to clone a Kudos. Typically this gets created when using the "kudos send" functionality. The model is inherited from the SendCryptoAsset model, which is also used by Tips. Attributes: from_address (str): Eth address of the person that is sending the kudos. kudos_token (kudos.Token): Foreign key to the kudos_token that was cloned. This is filled in after the kudos has been cloned. kudos_token_cloned_from (kudos.Token): Foreign key to the kudos_token that will be cloned and sent. recipient_profile (dashboard.Profile): Foreign key to the profile of the person that is being sent the kudos. sender_profile (dashboard.Profile): Foreign key to the profile of the person that is sending the kudos. Returns: str: URL for recipient. DEPRECATED. Kudos Address where the tokens are stored. Currently not used. Instead we are using preferred_payout_address for now. Model that represents the ability to send a Kudos, i f token.send_enabled_for_non_gitcoin_admins is true.